A message to remind us all to continue the work started by the Grammy winning artist to better our communities of color. The rumor is that youth in Asmara, the capital city of the small African nation of Eritrea, have recently incorporated a new phrase into their dialect. It’s directly inspired by Nipsey Hussle’s last visit to his father’s homeland. I’ve only picked up a few words in Tigrigna, the country’s official language, that I’ve used maybe once or twice to flirt with the beautiful women who originate from that nation, but after hearing about Nipsey’s senseless murder last week, I think I’m going to add Nebsi to my lexicon as well. Even though I never met Ermias Asghedom aka Nipsey Hussle, it feels like I knew the man well. Our roots and lives intersected in so many ways that it feels like Nipsey could have easily been one of my homeboys—my Nebsi. We were both 80’s babies born and bred in South Central Los Angeles. Consequently, we were both also ingrafted into a sprawling gang culture that would shape us, and in turn, be shaped by us as we carried our experiences into manhood. We affiliated with the same gang, the Rollin’ 60s Neighborhood Crips, considered to be one the largest street gangs in L.A.
Nipsey was “courted” or “put on” after leaving home at 14-years old. 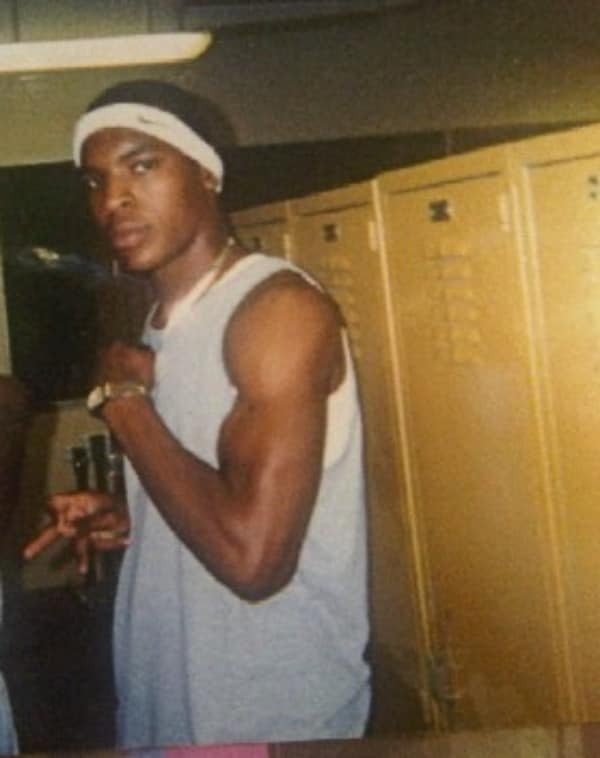 He was essentially raised by the Neighborhood Crips and it was in that community that he found his early identity. For my part, I was raised by Crips from birth. My father, known as Murder Roc, my uncles Bone, JB, and Bud were all notorious members of the 60’s crew. Watching my dad, uncles and then my older brothers go through a cycle of violence, incarceration and lack, eventually caused me to keep my distance from gang activity. Coincidentally, both Nipsey and I dropped out of high school roughly around the same age and moved in with our grandmothers. For my part, I was actually expelled. My expulsion was the result of an “alleged” assault with my two older brothers on my male high school principal. That’s right, alleged! All these years later, I maintain I played no role in that assault. Nipsey on the other hand, left school to pursue music full time. He made it a point to explain that he didn’t drop out due to a lack of scholastic aptitude. In a radio interview in Dallas, I remember hearing him describe an experience he had with an educator who recognized his intelligence and challenged him to apply his gifts to the curriculum. Appreciating the teacher’s sincerity and investment, Nipsey accepted the challenge and for the next year became an A/B Honor Roll student before deciding to leave the classroom behind entirely. I had already been out of school for a year when I moved in with my grandmother in Pasadena, California. It was the distance from the streets, created by that move that gave me the room to recreate my identity. I reenrolled in school and like Nipsey, I applied myself scholastically to become an A/B Honor Roll student. My academic career continued as I moved on to college and eventually law school. The homie, Nipsey and I were connected in other ways including music. When I was in high school, most people figured that I would go on to pursue a career as a rap artist; so much so that they used to call me Lyric. We were also both book worms. 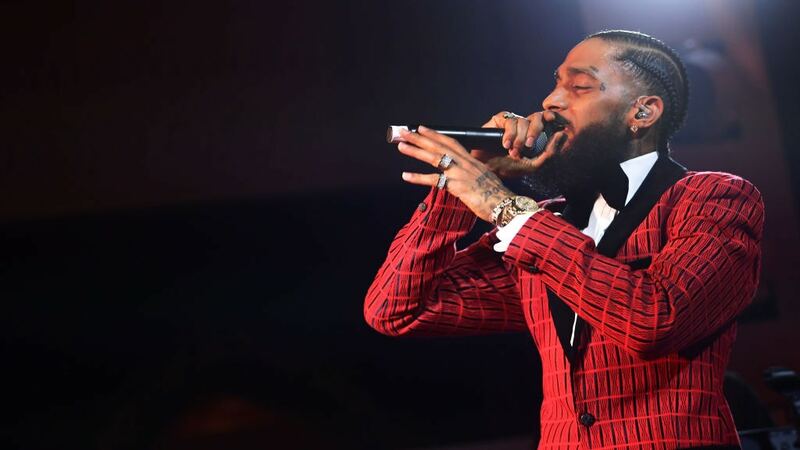 Nipsey’s lyrics constantly made reference to biographies and novels that we both read and appreciated. Most importantly, we inherited an undying allegiance to our communities that we incorporated into our respective professions. I feel like this is really the cornerstone of what binds us together. It has become the jewel gleaned from the chaos of gang culture that surrounded us. I sometimes wonder if the work I do in Civil Rights ever caught Nipsey’s attention. 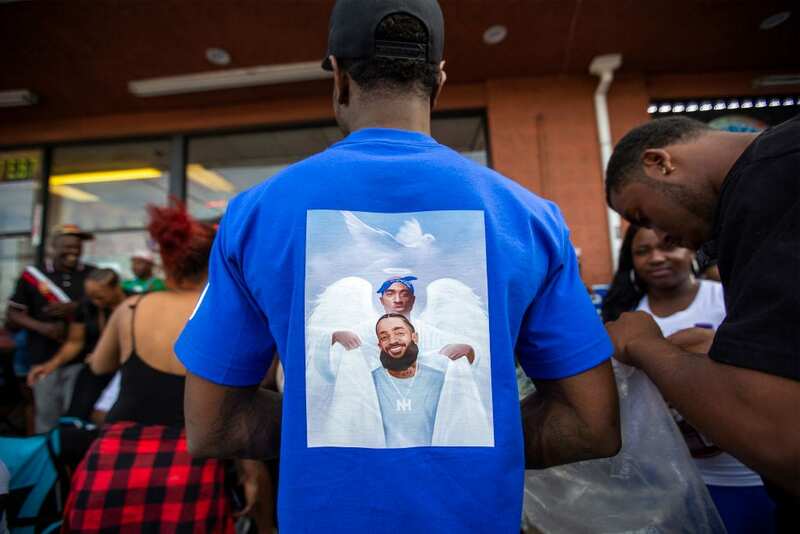 One case in particular, involving a police shooting that occurred April 5, 2018, almost exactly a year prior to the date of Nipsey’s murder, comes to mind. It was during this case that I first noticed the work Nipsey was doing in our community. I was home in Los Angeles investigating the police shooting of Diante Yarber, a 27-year old, unarmed Black motorist, who was shot more than 20 times in a Walmart parking lot after police claimed his car looked suspicious. Yarber was a father of three, a mechanic and a member of the the Rollin 60s Neighborhood Crips. While watching local news coverage of Yarber’s shooting, one of the channels aired a story of a rapper from South Central L.A. who was taking steps to better the community. I’d heard of Nipsey before, but it was that coverage that made me really take notice. I came to represent Diante’s estate in a Federal Civil Rights lawsuit against the City of Barstow, California. 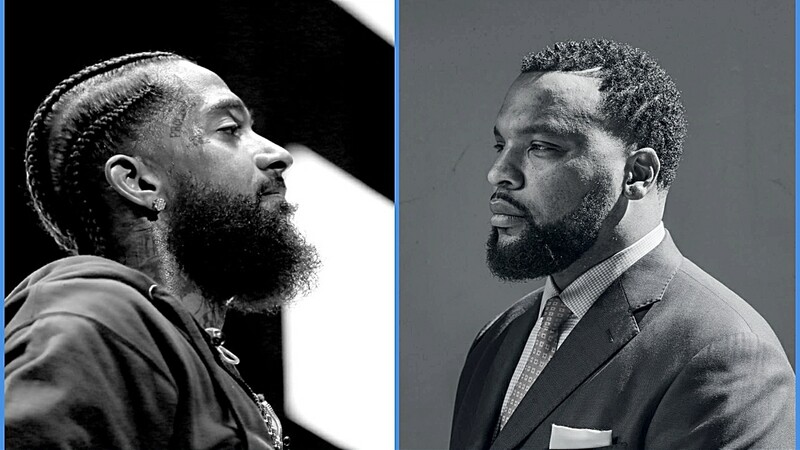 I was also given the opportunity to speak at his funeral that was heavily attended by Nebsis who looked like me and Nip and who shared our comparable backgrounds. I spoke about the realities of gang ties and how the principle of loyalty demanded their commitment to the cause of justice. I mentioned how that same loyalty required that we honor each other and take steps to reduce violence and conflict in our own communities. 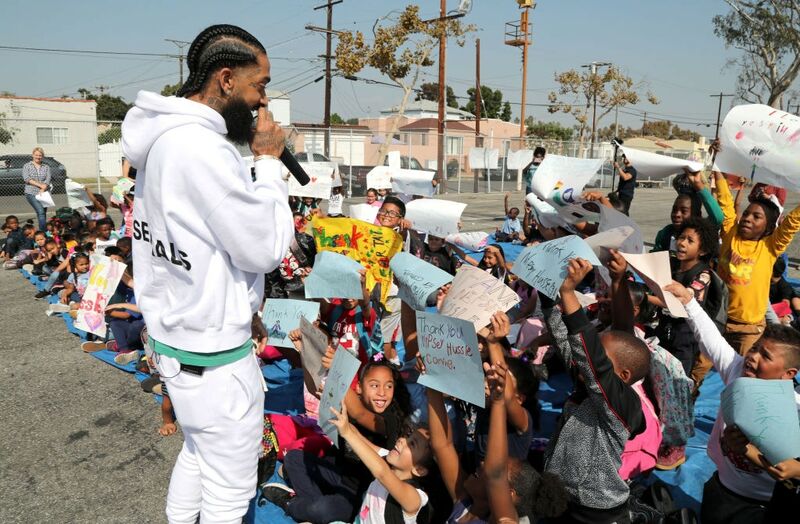 This was also Nipsey’s message, flowing through his words and deeds in ways in which I couldn’t even begin to outline in this brief article. My goal here isn’t to demonstrate how much Nipsey Hussle and I are alike. Instead, I hope to shine a light on the potential that exists from the other Nebsis who are often cast aside. In telling our parallel stories of two homies from South Central, L.A., I want to remind us all to continue Nipsey’s work in mining and refining the jewels in our own communities. We are those jewels—including the gangbangers, drug addicts and convicts, who society too quickly writes off. Nipsey was able to inarguably achieve legendary status in his work, none of which could have been done if someone just dismissed him as yet another knucklehead gangbanger. He saw everyone he came in contact with as unique and valuable— a Nebsis. It is this recognition of the inherent value of our fellow man and the appreciation of the wealth rooted in our community that we have to take with us. This is how we honor the homie.